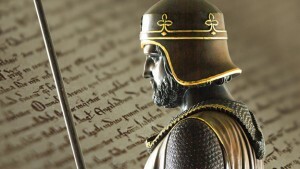 2015 has been the eight-hundredth anniversary of the great document Magna Carta, one of the world’s most famous documents, which is still controversial. Is it, as the British Library’s website asks, the “foundation of democracy or rallying cry for modern rights?” The website includes lots of information about the document. 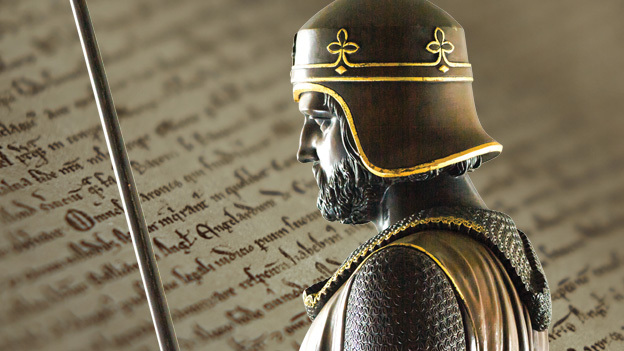 This summer the British Library has mounted a major exhibition about its history and long-term significance: Magna Carta: Law, Liberty, Legacy has received rave reviews, but closing on Tuesday 1 September you have only the long Bank Holiday weekend to see it. Even if you miss it, though, this site includes information about some of the treasures on display. 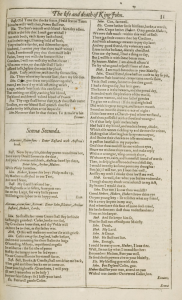 This website takes you to a zoomable copy of the document, a transcription in the original Latin and translation into English. 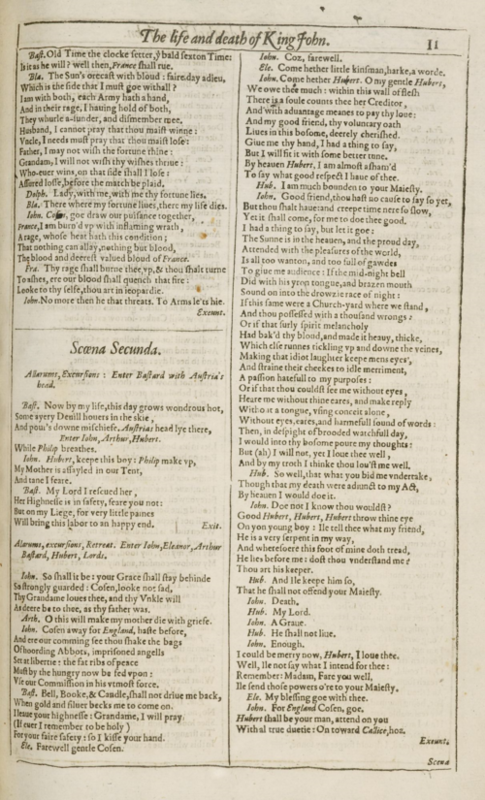 One of the items in the exhibition is a copy of Shakespeare’s 1623 First Folio, open at a page in the play King John. Although the creation of Magna Carta is the most famous event of King John’s reign Shakespeare, famously does not mention the document at all. Perhaps in order to satisfy audiences who came expecting to see it dramatized, or in order to provide an opportunity for pageantry and display, Herbert Beerbohm Tree inserted a scene in which King John was shown granting Magna Carta to his barons. A painting of Hubert Beerbohm Tree playing the role in 1899-1900 is also included in the exhibition, and this blog post includes an explanation of Shakespeare’s omission of the event. All these great resources accompany the exhibition but are also a reminder of the significance of Magna Carta, a document that began its life as a “practical solution to a political crisis” before becoming “an international symbol of freedom”. This entry was posted in Legacy, Sources and tagged British Library, King John, Magna Carta. Bookmark the permalink.